Last year I had a serious sense of missing out and thought that I was the only person in the country who hadn’t been to Electric Picnic. I decided that 2012 would herald my wellied return to Stradbally and set about planning early. I got online and in cahoots with another Mammy friend we booked family rooms at the Maldron Hotel in Portlaoise for the weekend that we thought the festival would fall on this year. It was slightly risky as the festival hadn’t been confirmed for 2012 but with a 24 hour cancellation policy we had nothing to lose, but joked about having a break in the Midlands if not, sure the hotel even had a pool, it would be fabulous. Our enthusiasm hadn’t waned when the early bird tickets were released and we bravely clicked “Family”. People, even those who hadn’t met my wild boys, thought we were mad. A friend laughed and called me a hippie. But we were resolute, other people did it, we owned a three wheeled buggy and children who had full wet gear, why not? 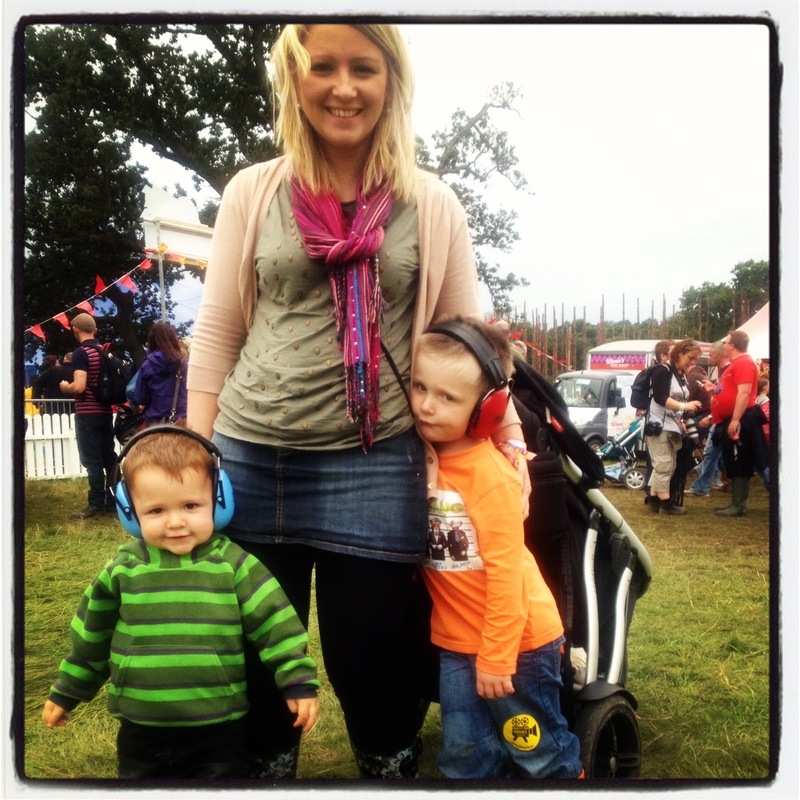 The year passed and it stayed in the back of our minds and when the time came we told the now very nearly four year old that we were going to Electric Picnic. He seemed enthusiastic about meeting rockstars and having a go on their ‘lectic guitars, and was sold when he heard that his very favourite band, The Killers, were going to play. So, car laden down with sunblock, snacks and raingear and full of hope off we set for County Laois. 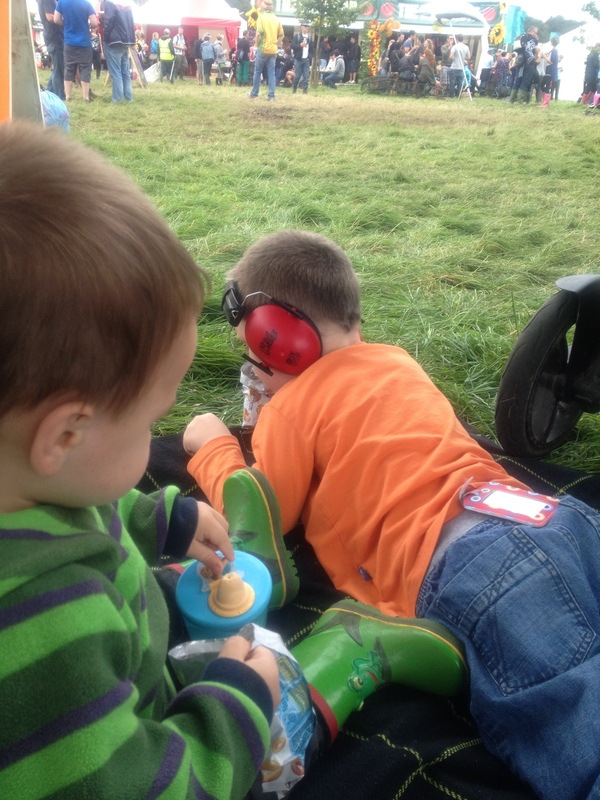 Kudos to Electric Picnic, families are looked after. If you’ve bought a family ticket, the first sense of specialness that you feel is when you arrive in to Stradbally and see “Family Parking” signs. You sail past the “Concert Parking” signs after a flash of the family tickets at the Garda barrier and are directed to the designated Family Parking area in the local GAA pitch. There, you get to laugh with other families about how much luggage everyone has, and not let on that in fact you’re not camping, you just don’t know how to pack light. There’s a jovial atmosphere as you sit your children into their buggy on top of three fleeces as there’s nowhere else to stow them. You jaunt together through the tree lined avenue, expecting to meet a mouse and a Gruffalo at any moment and walk past the lake, looking at the swans, then over the bridge, through the woods and up an incredibly steep ramp, put there to accommodate buggies and into the Walled Garden where the magic begins, at Soul Kids. 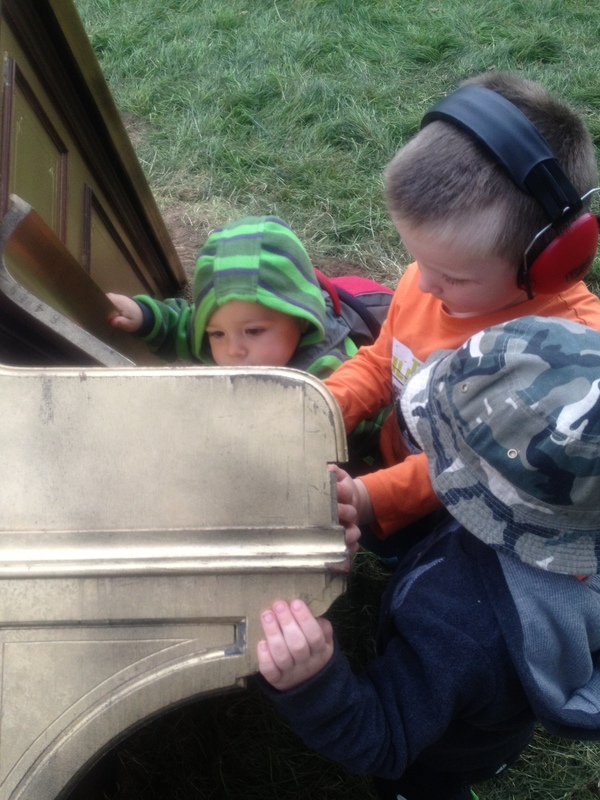 From the purpose built to the accidental, Electric Picnic has so much happening for its youngest attendees. 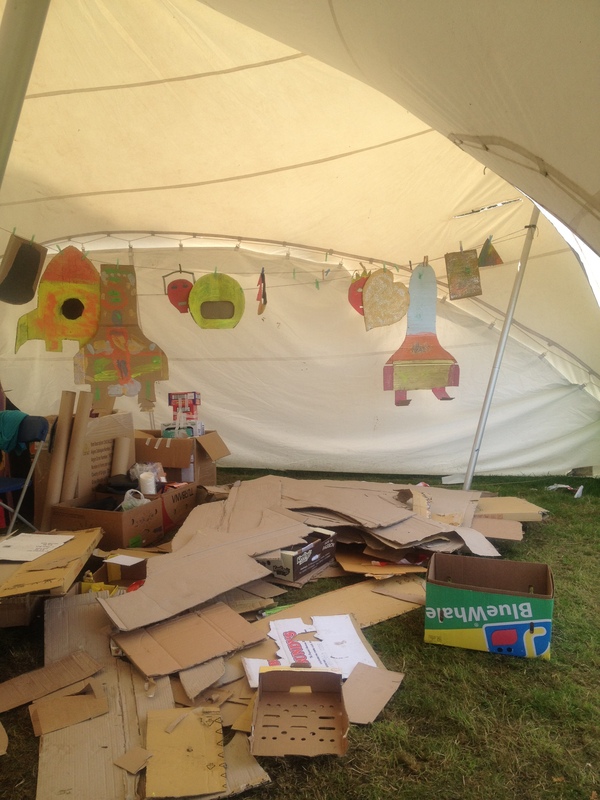 Soul Kids is a kiddie wonderland, set in the Walled Garden and with a path through the forest from the Family Campsite. There’s a sandpit in the shape of a pirate ship with a real pirate keeping watch (on interrogation from the nearly four year old he confirmed that he was a friendly pirate), a make and do tent with the most patient instructors ever, inflatable aliens to fight, a circus skills workshop, a baby ball pit, music and fun. You can’t get in to Soul Kids unless you have a Family wristband, even if you have kids with you, security is very tight, which is very reassuring. The only negative thing that I could say about the Soul Kids area was that it was impossible to get the kids out of there. There’s direct access from the Family entrance through Soul Kids down to Mindfield so we’d go through there rather than campsites to get to the main festival and even better, at night we could sneak out that way, flashing our “Family” wristbands about five times on the way and saying goodnight to the security crew who we got to know over the three days. The security crew really were remarkable, so good humoured and chatty and they helped us lift the buggy and chatted to the boys giving the huge festival a very personal touch. Fossetts Circus are on site, but we didn’t go, and there’s a funfair, and while it’s adult attractions our (tall for his age) almost four year old was allowed on the helter skelter (a twisty slide) and was ecstatic. While I enjoyed Lily’s demo in the Theatre of Food I got a text to let me know that my three boys were all on the ferris wheel. The toddler was so thrilled by this that he would point excitedly at it every time that he saw it and tell me “Up, me, Dada, CaCa, LOOK!” It made quite the impression on him. 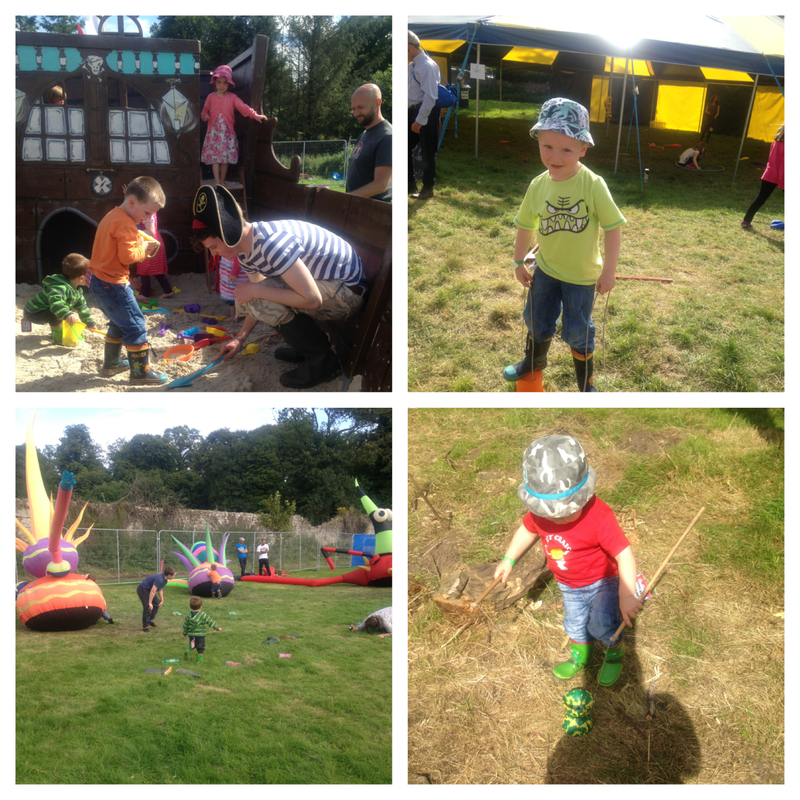 The grounds at Stradbally and the festival set up provide lots of amusement too. There are trees to swing out of, flagpoles to climb, people in fancy dress to point out, sculptures to scamper up or play peep around. We found acorns, and saw apples growing on trees. The Body and Soul area was perfect to hang out in, run up and down hills and listen to the Strypes, only a few years older than our two, give or take. 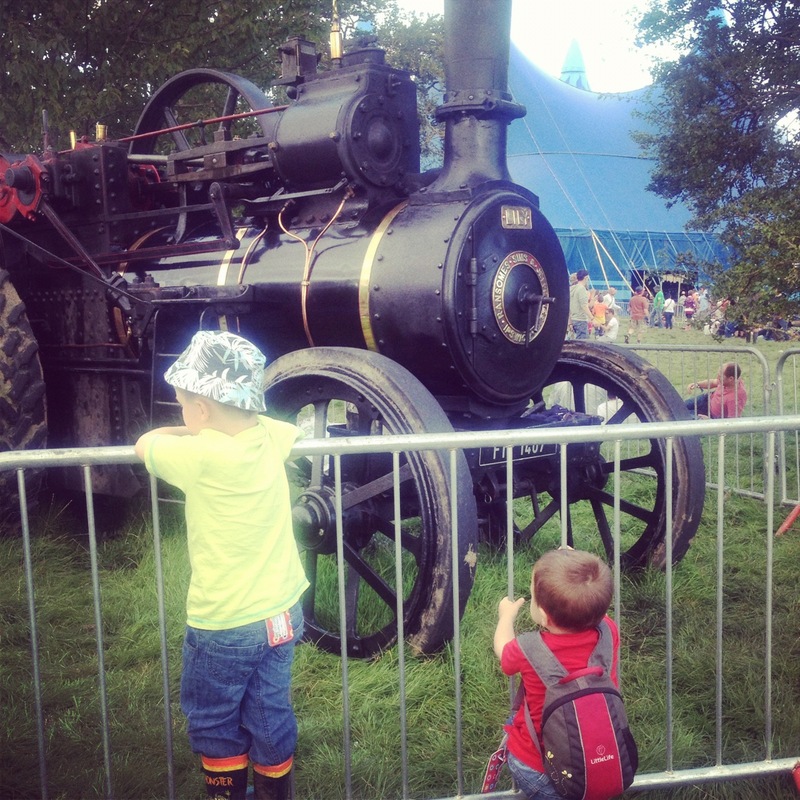 When I was a child I remember going to Stradbally to the Steam Rally so it was great to heat the “toot” and let the boys pretend to drive a steam engine. We managed to have three late nights, thanks to two very cooperative boys who watched for a bit and when the time came slept in their double buggy. We listened to BellX1 on a picnic mat outside the Crawdaddy stage, drinking hot chocolate, buggy parked beside us, in a group of families. I am sure many looked at us and thought that we were demented, possibly cruel, or just that we couldn’t get a babysitter but most of that is not true, and my Mam offered loads of times to take the boys for the weekend but we wanted to bring them along. Once anyway. The boys had an absolute ball. The older fella was gutted that he slept through his favourite song- Mr. Brightside, or “Crawlin’ my Cage” as he calls it, and because we thought that this might happen we even tried to wake him for it but to no avail. 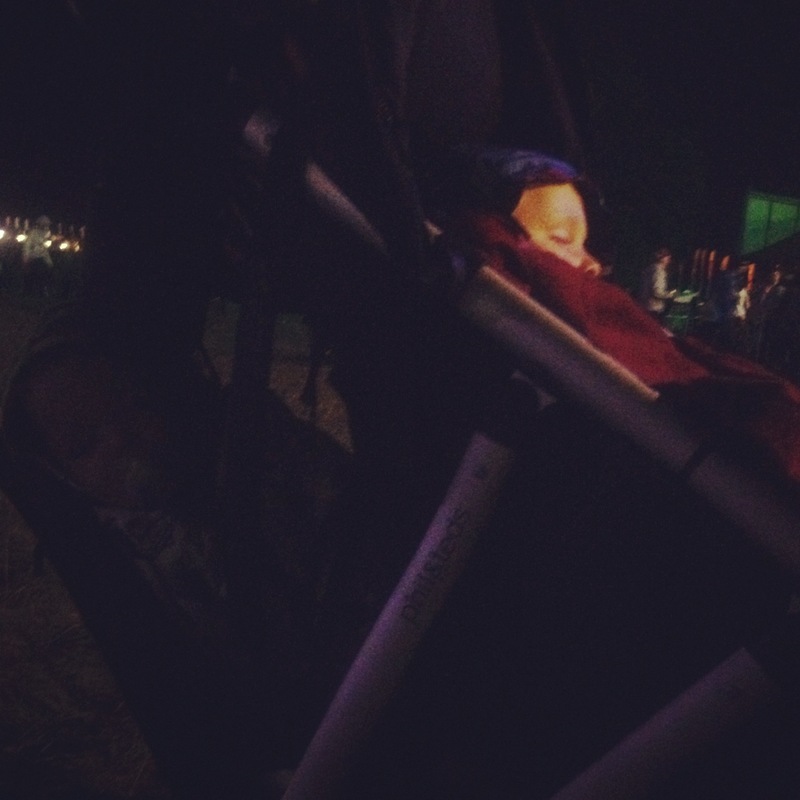 He snored as Brandon Flowers belted out the tunes, wrapped up in a fleece blanket in the buggy, earprotectors on muffling the sound. Other festival goers were so receptive to the kids, laughing at their luggage tags, cooing at the toddler’s froggy wellies, and one goodhumoured soul pretended to be a tiger and approaching our picnic mat and played with the two for about ten minutes, they squealing with laughter. Will we go again? Definitely. Will we bring the boys? Possibly. We had a fantastic weekend, but I think the age of the kids played a big role in this. Ours were small enough to sit in the buggy and snooze. Lots of parents with older kids seemed to be ferrying them around in wheelbarrow and as it got later there were a few miserable looking tweens around the place whose parents were still partying. Like anything, bring kids and you’ll make compromises, but as most parents know, if your kids are happy then you’re happy too. Don’t think that it will be the same Electric Picnic as before but with a buggy, that’s not how life is. We had thought that we’d take it in turns to have a few drinks and drive but with the full on minding and entertaining of smallies we just weren’t inclined, and we had one drink each each day, and didn’t seek out a second. (See below what happened to my cava, sob). 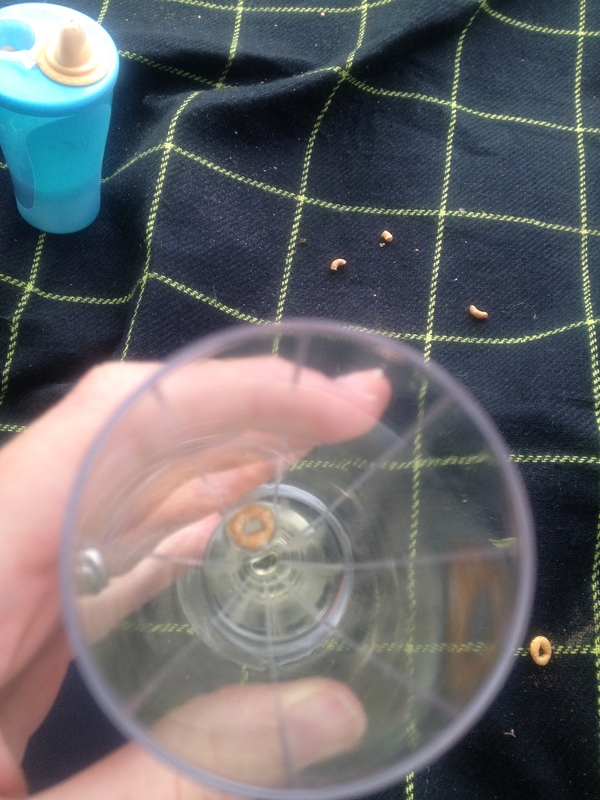 A Cheerio in my Cava. Sob. Tom Dunne fronting Something Happens and making jokes about Féile and Dave Fanning. BellX1 belting out my favourites while we sat on a mat drinking hot chocolate. Food- Rathmullan House, Rogan’s Smokehouse sausages, Saba, and everything I managed to make it to in Theatre of Food, tasting Sophie’s thai dish and bacon fudge made by Niamh. The Art installation near the Cosby stage with mirrors and the piano stuck in the ground, the boys spent hours trying to lift it out. “When the lady and man watched me throwing the stick” – patient festival goers in Mindfield on Saturday afternoon applauded as the two performed feats of amazing stick throwing. Ciaran’s favourite part of that day. Drinks: If your kids are small and don’t do fizzy bring big bottles of water or made up juice, stow in the buggy and refill their normal sippies. Snacks: Parents of young kids rarely leave home without snacks so stock up. There’s lots of great food options at Electric Picnic but you won’t find much in the way of fruit so each day I brought raisins and apples and some fruit purees in pouches which I called smoothies and they were devoured. Naturally, if all else fails sweeties buy goodwill or distract at least. Sitting: Bring a plastic backed picnic mat. Sit regularly and have “picnics” with the aforementioned gazillion snacks. We hung out near gigs that we wanted to hear and let the boys climb trees while we sat on that mat or they chilled on it. Toilet stuff: There are changing facilities in the Soul Kids area, which is great, but there’s no way that you are going to trek the whole way there every time a bum needs changing. Bring something to lie your baby on and do it there in a quiet corner. Bring antibacterial handwash and toilet roll and obviously baby wipes. Explain the loos to the kids, my nearly four year old was fascinated at seeing other people’s deposits and had so many questions. Transport: There is a lot of walking so if there’s any chance that your child will sit in a buggy bring it. Small wheels are no use though, in the fields of Stradbally three wheeled buggies are king. Tag your kids: Kids get wristbands and security insist that you write your phone number on them in case your child gets lost but picking up on bulletin board tips I also bought cheap luggage tags in a euro shop and put them through the boys’ belt loops. They loved them and christened them alligator tails. 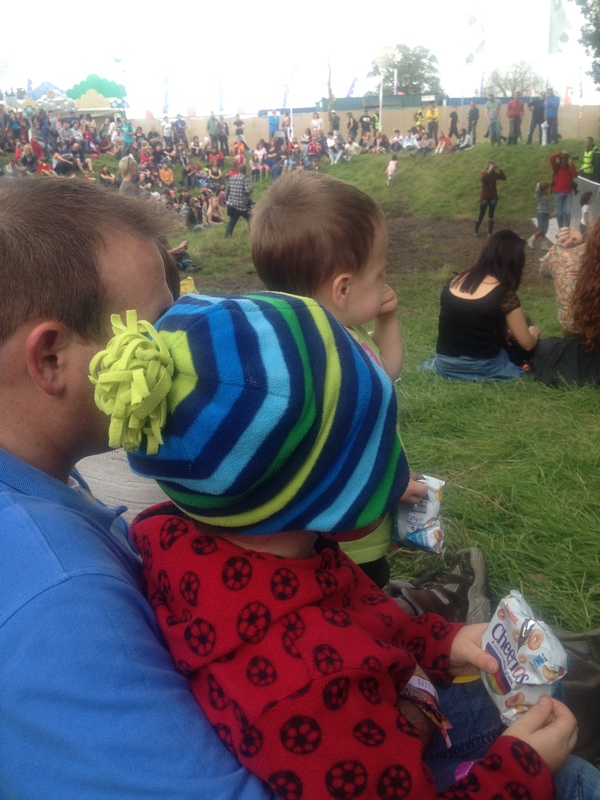 concert with kids, days out, Electric Picnic. Bookmark.